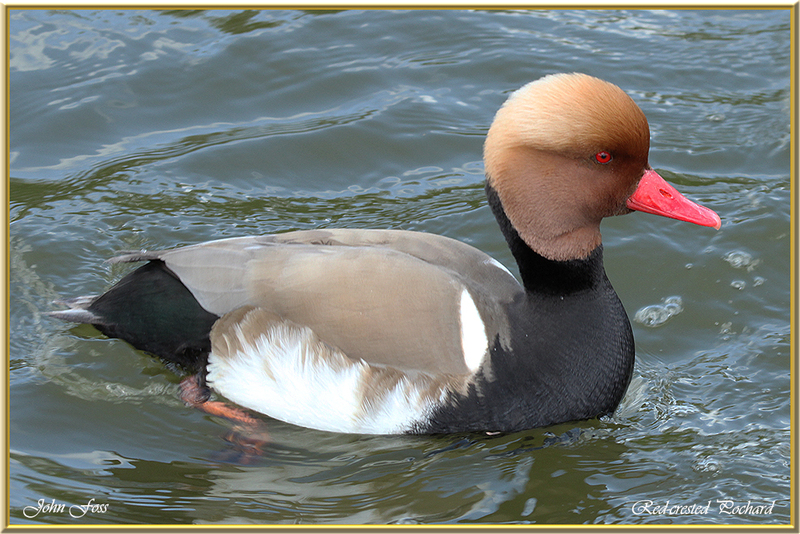 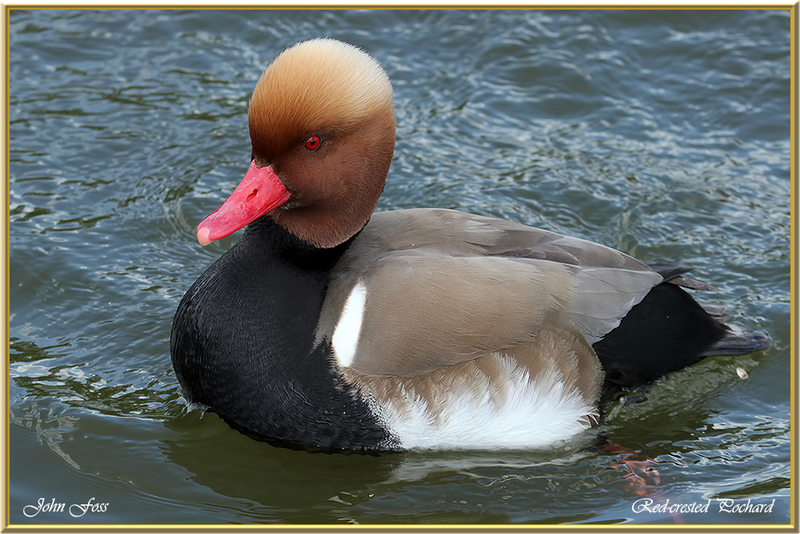 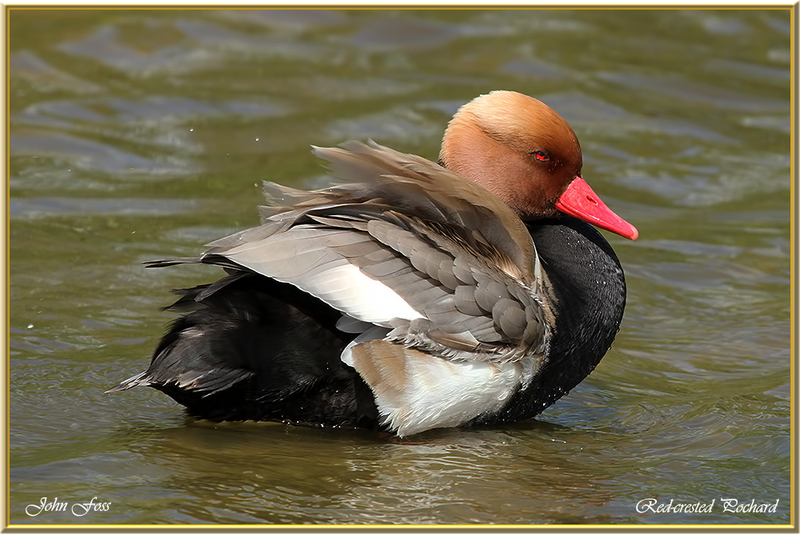 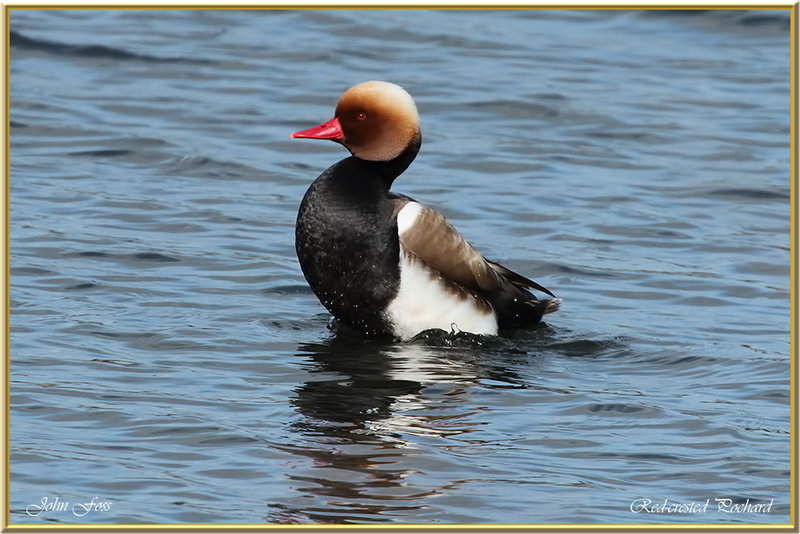 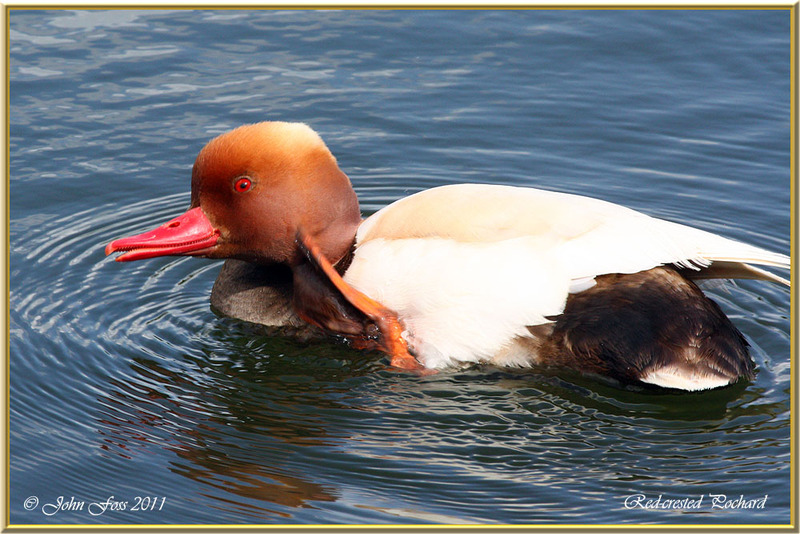 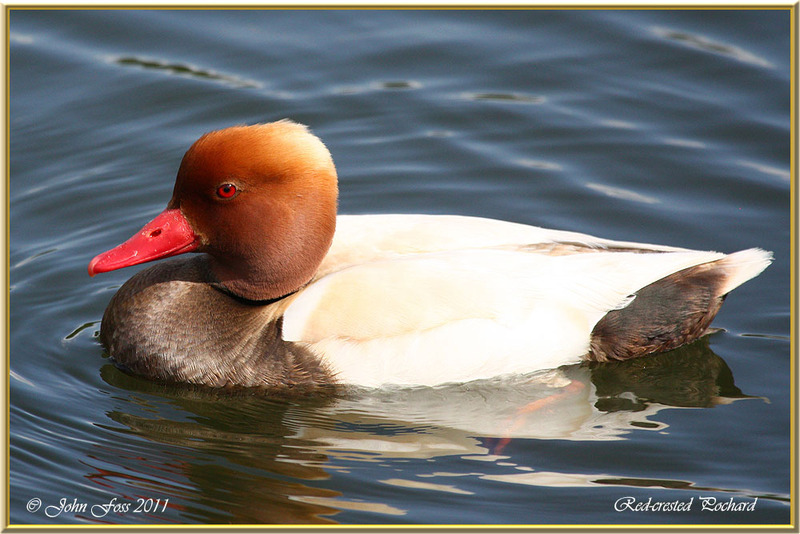 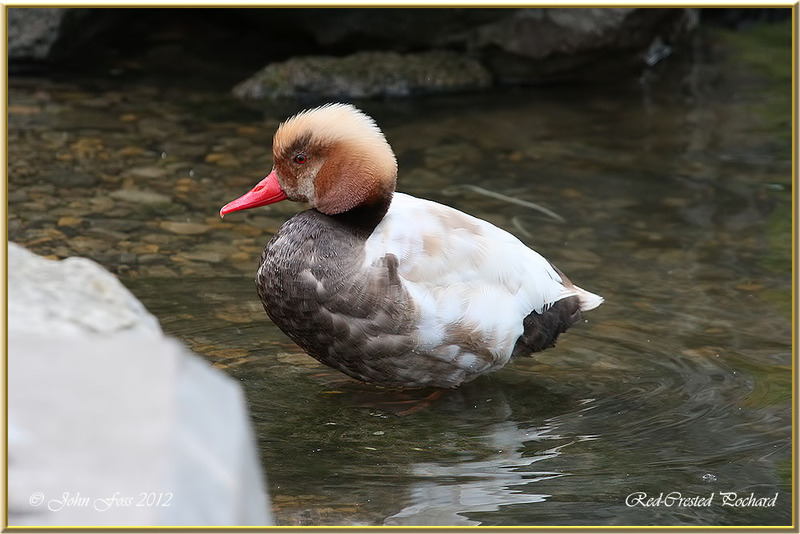 Red-crested Pochard - A popular species in wildfowl collections. 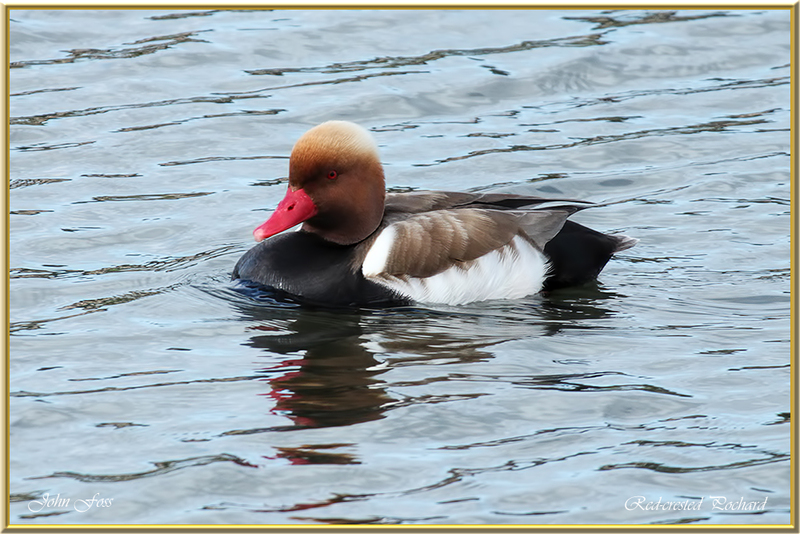 I was lucky to see these at Attenborough Nature Reserve in Nottinghamshire and at Staffordshire UK.. A diving duck, though they also 'dabble' for their food, which is mainly aquatic plants. 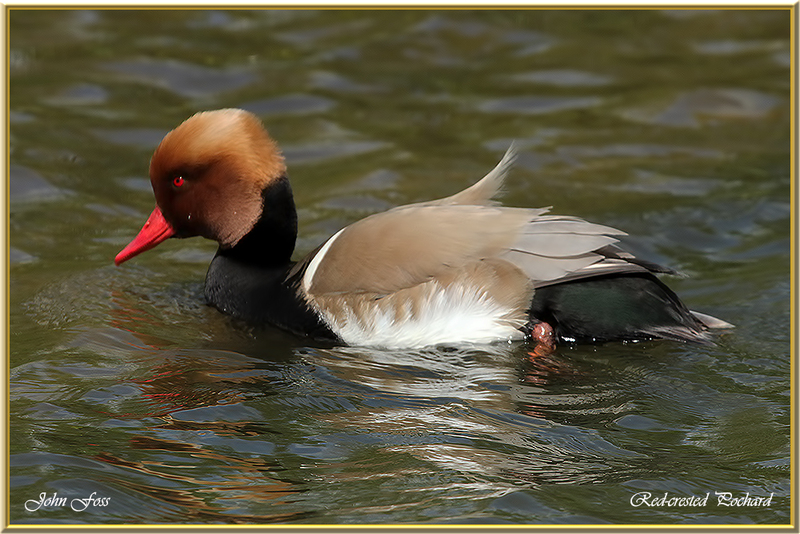 The male has the russet head and red bill. 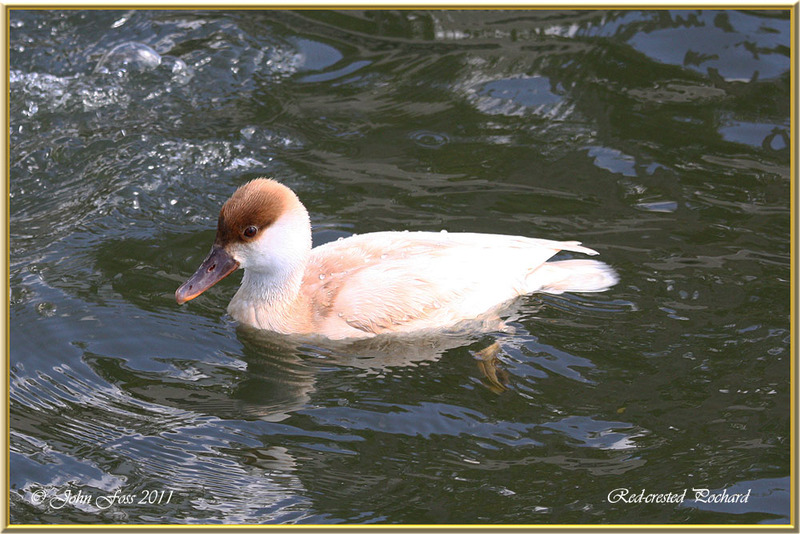 They nest beside freshwater lakes laying 8-12 pale green eggs. 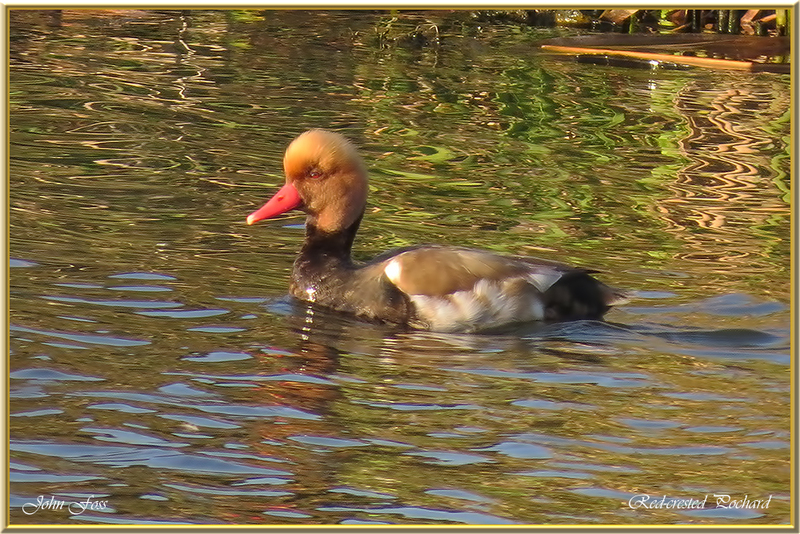 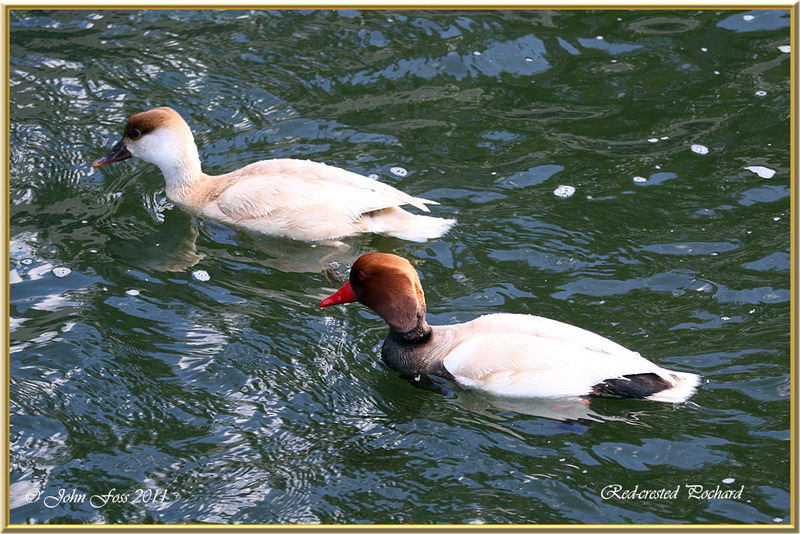 I also came across these handsome Pochards at Quinta Do Lago Portugal.